Episode No. 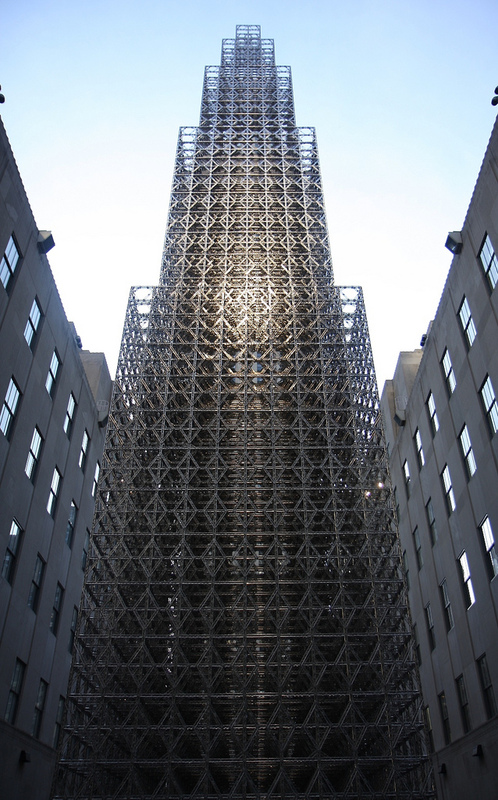 1 of The Modern Art Notes Podcast features artist Chris Burden and curator Kristen Hileman. A star of the Getty-funded Pacific Standard Time series of exhibitions and related scholarship — only John Baldessari and Ed Ruscha are included in more PST shows — Burden is one of our most important artists. 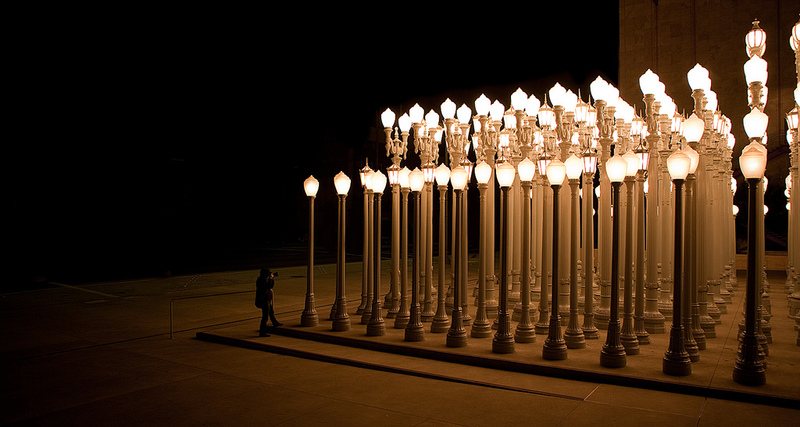 His Urban Light (2008) at the Los Angeles County Museum of Art is arguably America’s most popular public artwork. 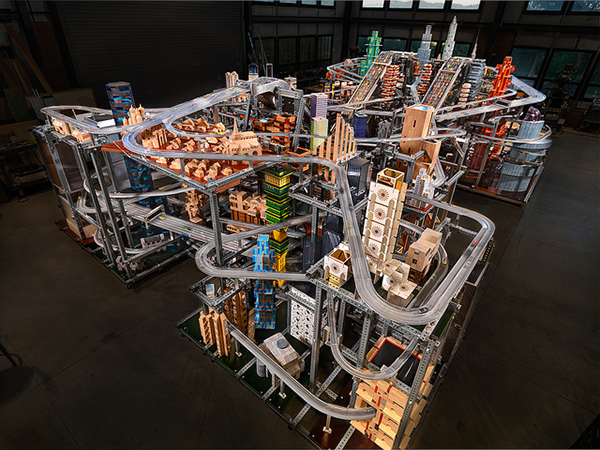 Later this fall, LACMA will open a second major Burden installation: Metropolis II (which is on a 10-year loan to the institution from a private collector). In 2008 Burden installed What My Dad Gave Me, a six-story sculptural installation commissioned by the Public Art Fund, at Rockefeller Center in 2008. He has been the subject of several retrospective exhibitions, including in 1988 at the Newport Harbor Art Museum, and at the MAK-Austrian Museum of Applied Arts, Vienna in 1996. In the program’s second segment, Hileman and host Tyler Green discuss their favorite long-term installations at American art museums. Next year, the BMA will unveil a major new Sarah Oppenheimer installation. Air date: Nov. 10, 2011. 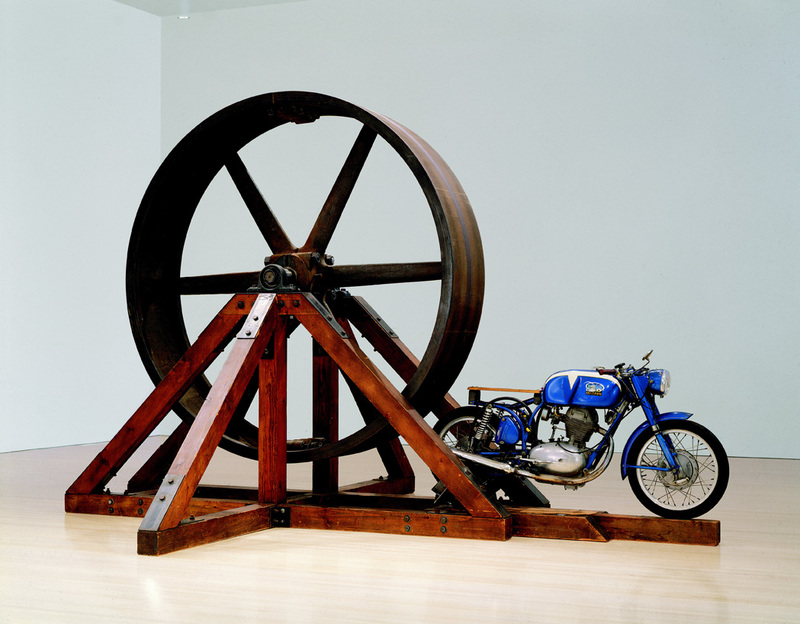 Chris Burden, The Big Wheel, 1979. Collection of The Museum of Contemporary Art, Los Angeles. Chris Burden, Metropolis II, 2011. 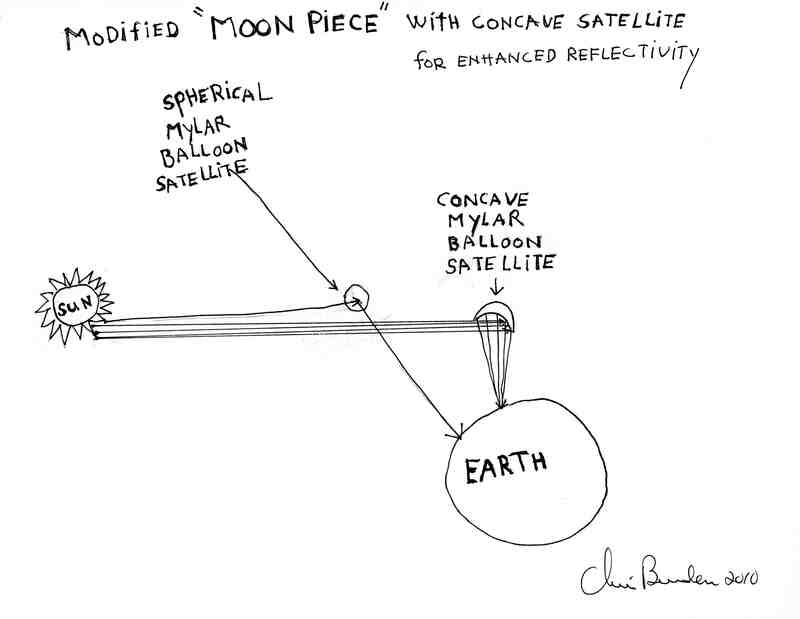 Chris Burden, Modified Moon Piece, 2010.